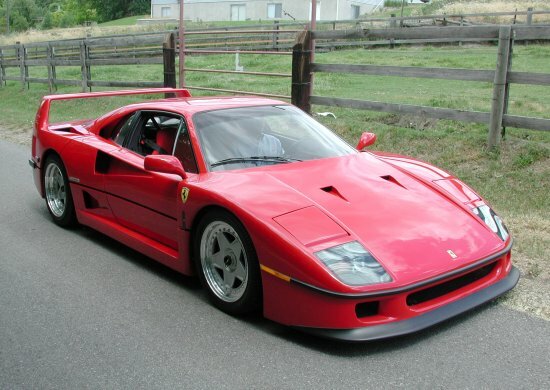 The Ferrari F40, though a decade old, is still one of the fastest cars in the world. It's powered by a 3 litre twin-turbo V8 engine which produces 478 horsepower. This engine pushes the car from 0-60 miles per hour in just 3.8 seconds and allows the car to reach speeds as high as 201 mph! 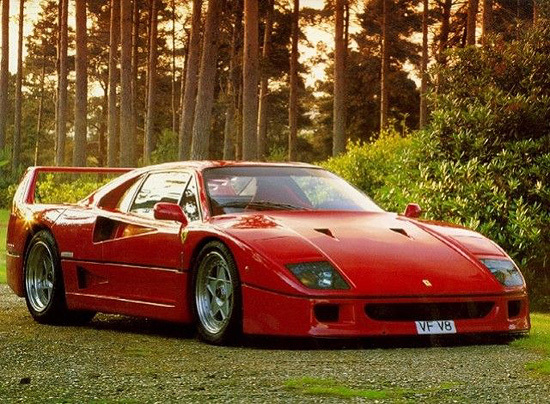 The F40 also looks great, and has many great styling elements. 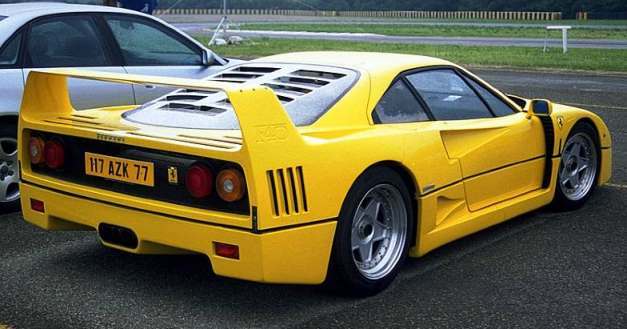 Some of these include nice air vents, cool headlights and a beautiful grill which shows off the famour prancing horse. Just about the only thing bad about this car is its very high price.